Novel Solar Cells for the win (just one more computation, and we'll show you how). 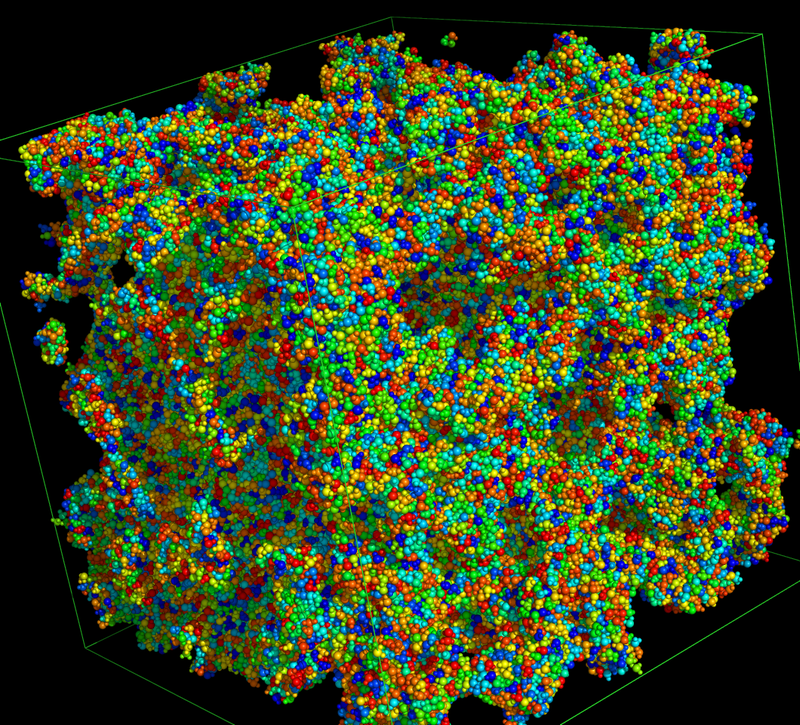 I often use the nice built in ‘ray’ raytracer in Pymol. These ray traces can take minutes to hours, and during that time I of course want to use my computer! Unfortunately, the Pymol window freezes during the ray trace, so when I switch virtual desktops it sometimes looks as if there’s a frozen terminal or similar there, which I click on, sometimes inadvertently, sometimes because I am a fool. This click gets queued up to Pymol and promptly delivered as the ray trace finishes – making the window redraw with the built in opengl, wasting all the time ray tracing, arg! Chain the commands together so that it immediately saves the ray trace image, no matter what you do to the GUI in the meantime! I wish I’d taken the few moments to think this through back in 2009 or so.